By 1984, Childress had written two books about his journeys, Lost Cities of Africa and Arabia and Lost Cities of China, Central Asia and India. Further expeditions to South America in the 1980s resulted in Lost Cities and Ancient Mysteries of South America, which became a top-ten seller in Brazil. 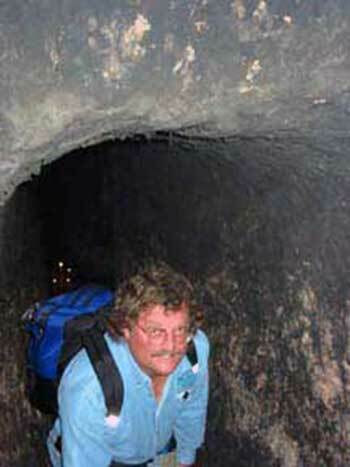 Childress has continued his global research and has rounded out his series with Lost Cities of Ancient Lemuria & the Pacific; Lost Cities of North and Central America; Lost Cities of Atlantis, Ancient Europe & the Mediterranean; Ancient Tonga & the Lost City of Mu’a and Ancient Micronesia & the Lost City of Nan Madol. His style is an entertaining blend of personal experience and well-researched fact, and these books present fascinating information on the advanced technology and anomalous architecture of our predecessors around the globe. David has a wide scope of interests, and is a recognized expert not only on ancient civilizations and technology, but also on free energy, anti-gravity and UFOs. His books on these subjects include: The Anti-Gravity Handbook; Anti-Gravity & the World Grid; Anti-Gravity and the Unified Field; Extraterrestrial Archeology; Vimana Aircraft of Ancient India & Atlantis; A Hitchhikers Guide To Armageddon The Free-Energy Device Handbook, Man-Made UFOs, The Time Travel Handbook, Atlantis & the Power System of the Gods and others. After more than 30 years of investigating these arcane subjects, David finds his unique views and ideas gaining popularity. He has appeared on Fox-TV’s Sightings and Encounters, two NBC-TV specials, The Conspiracy Zone, and segments for the Discovery Channel, A&E, The Sci-Fi Channel, The History Channel, The Travel Channel and others. He is currently a co-star on the History Channel Show Ancient Aliens. This popular show is now in its seventh season and David journeys to Peru, Bolivia, Europe and Mexico for episodes of the show. David also appeared in the Canadian television show Weird of What?, hosted by William Shatner, in its 2011-2012 season. He is also a frequent guest on nationally syndicated radio shows. He continues to explore, write and excite people about discovery through his magazine, World Explorer, and his publishing company, Adventures Unlimited Press. When not traveling, he divides his time between his homes in Illinois and Arizona.